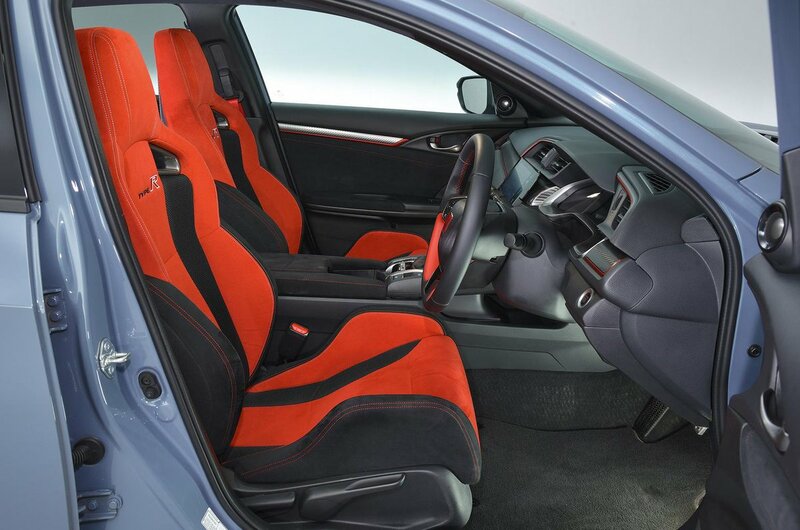 Honda Civic Type R Interior, Sat Nav, Dashboard | What Car? The standard Civic’s low-slung driving position and gearlever set relatively high up suit the Type R model perfectly. Add in figure-hugging sports seats and it really feels the part. And with driver’s seat height adjustment and a steering wheel that moves in and out as well as up and down, it's comfortable, too. One issue is visibility; due to the coupé-esque styling, it’s not easy to see behind you when reversing. Mind you, that’s mitigated by the standard reversing camera, while front and rear parking sensors are added if you go for the pricier GT trim. The main dashboard layout is fine, with the major buttons grouped conveniently around you, with user-friendly air-con controls. But the minute you try to operate the infotainment system – well, let’s not beat around the bush: the Civic has one of the worst infotainment systems around. The standard 7.0in touchscreen is disappointingly low in resolution, it’s slow and clunky to operate and the menus are frustrating to say the least. Mercifully, Apple CarPlay and Android Auto smartphone mirroring are standard, so at least you can bypass Honda's own operating system and use the touchscreen to control your phone instead. The infotainment system includes a 7.0in touchscreen, Bluetooth, a DAB radio and an eight-speaker stereo. Sat-nav and wireless phone charging are added if you upgrade to GT trim. 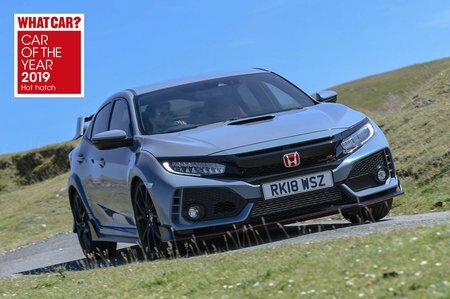 Where the Civic does impress is that, unlike most of its rivals, it feels truly distinct from regular models in the range, with red seats, red dashboard inlays and smatterings of faux carbonfibre throughout. And the underlying quality is there, too; it’s not up to Volkswagen Golf R or Audi S3 standards, but the Civic feels considerably plusher inside than a Renault Mégane RS.